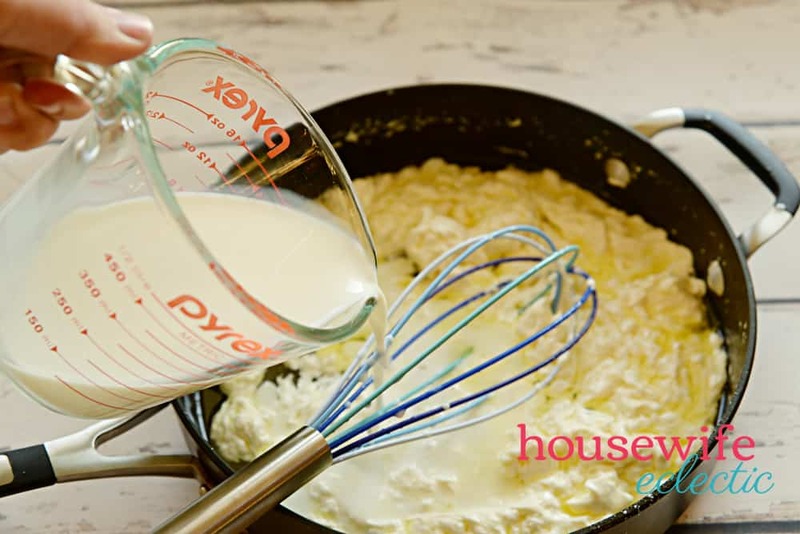 If I’d had any idea just how easy it was to make delicious and creamy Alfredo sauce, I would have started making mine from scratch decades ago. 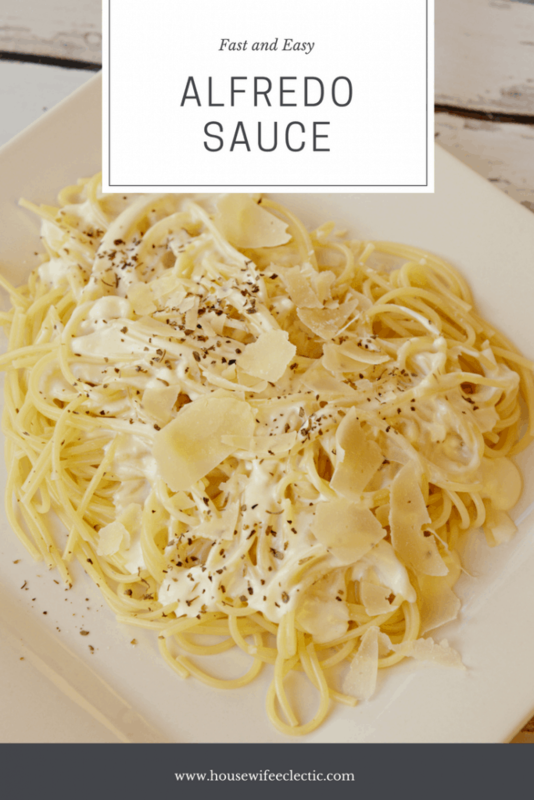 We have been eating this sauce for about a year now and I love the creamy texture and delicious Parmesan taste but most of all, I love that it is SO easy to make. If you need a dinner in less than 20 minutes, this is your meal. Add some baked chicken breasts or cooked shrimp on top for a protein and you are good to go! I love to serve this with thin spaghetti but fettuccine and angel hair pasta are also favorites for this sauce. For this sauce, I love using Stella Cheeses, With Stella cheeses you can transform any traditional dish or cheese plate into a gourmet experience. 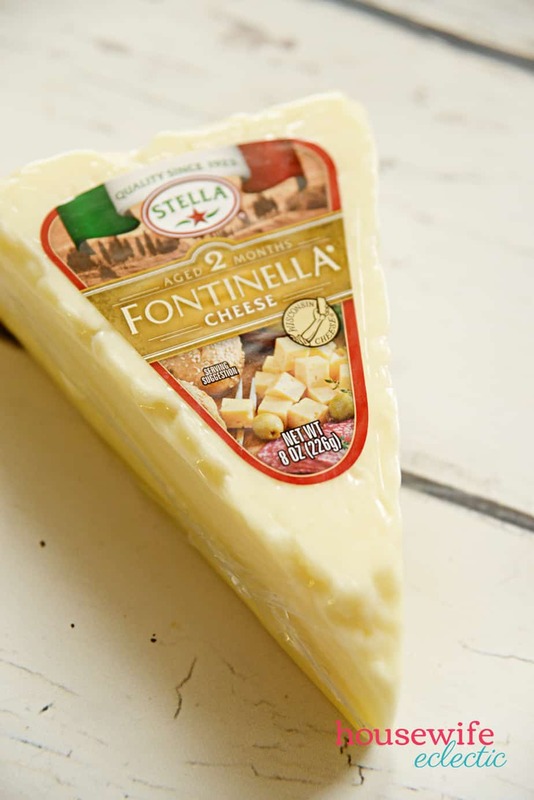 Stella cheeses are flavorful and combine old world craftsmanship with a rich dairy heritage, dating back to 1923. Make Every Day Gourmet with Stella and this amazing Alfredo sauce. 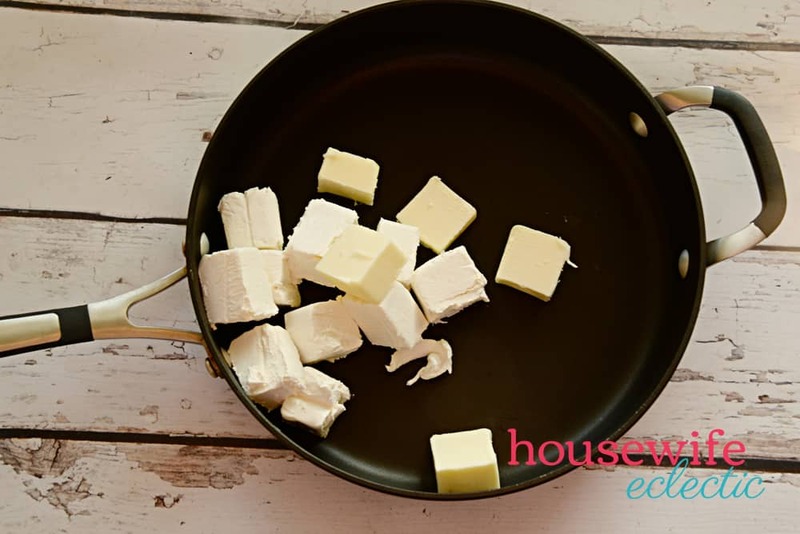 Melt the butter and cream cheese together in a large pan over medium heat. After the butter and cream cheese is smooth, add in the milk. Whisk until the mixture is smooth again. Then add the Stella Italian cheeses, the garlic and the shaved Parmesan. Whisk until the sauce is smooth. Continue cooking the sauce over medium heat until it is nice and bubbly. If you are adding a cooked protein to the sauce, now is the perfect time to do it! 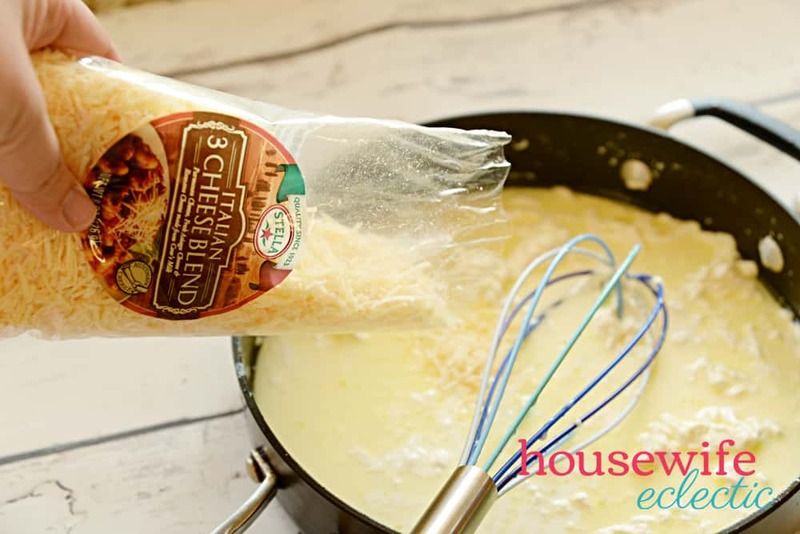 Serve over al dente pasta with fresh shaved Parmesan cheese and Italian seasoning on top. 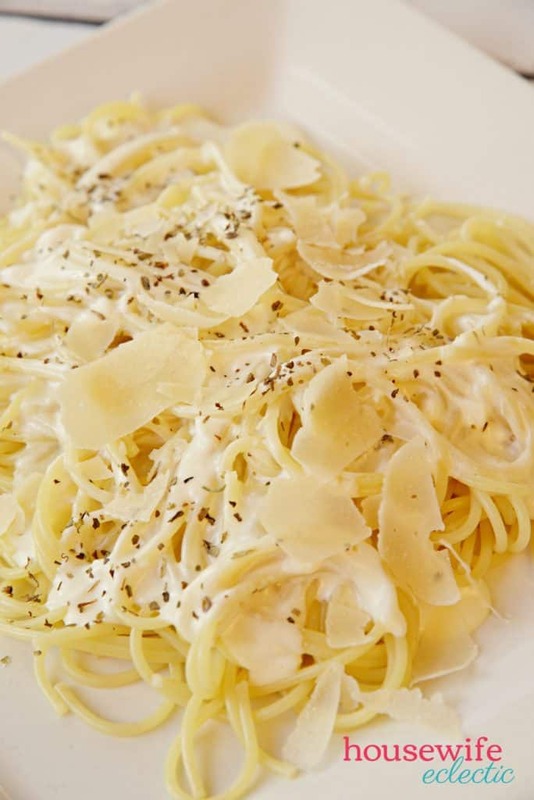 What is your favorite way to serve Alfredo? I always make my own alfredo sauce. The recipe is a little different than yours so next time I make it, I’ll try your way. 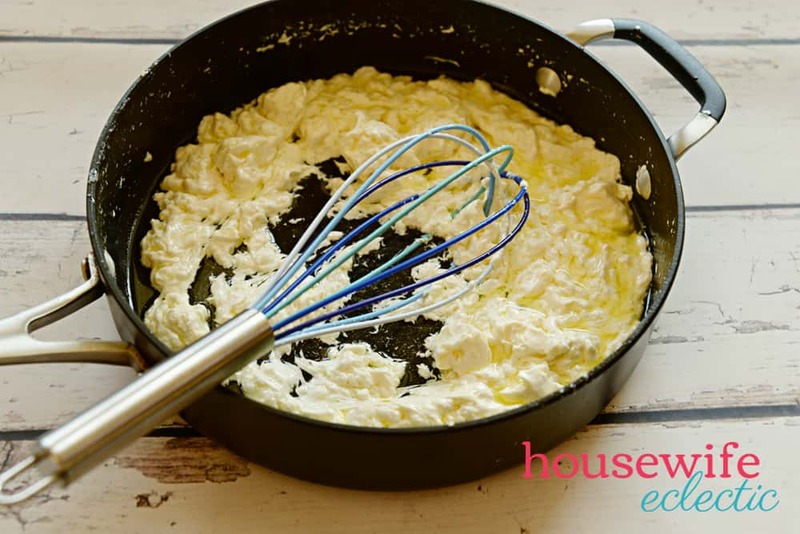 I’ve never used cream cheese in my alfredo sauce and it sounds yummy! There is nothing like a good alfredo sauce. I use my daughter recipe so will have to compare the two and see which one I enjoy the most. This looks perfect! I bet that Stella cheese makes the difference. I am going to look for it at my grocery store this week. This looks so delicious! I’ll be honest, I always buy jarred alfredo sauce, but this looks SO much better. I need to try and make it on my own. 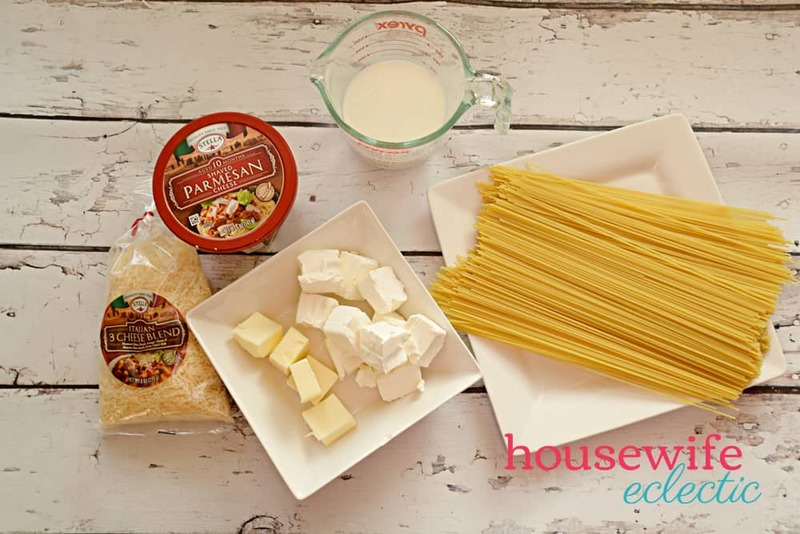 I love making alfredo sauce but have never tried it with cream cheese. I bet that is super creamy and really good. Yum! I love a good alfredo. The stella cheese and the cream cheese make it. Such a delicious comfort meal. Homemade Alfredo sauce is always a winner in our home. My family likes it served with baked chicken, steamed broccoli and fettuccine noodles. I’ve never added cream cheese to my Alfredo sauce but I bet this makes it extra rich and creamy. Great recipe. I had me a fast and easy! We love I’ll Frito but I hate the work that goes into making it. I cannot wait to try this one. I love quick and easy recipes. Alfredo is hands down absolutely my favorite pasta sauce, it’s so yummy. My son loves alfredo sauce. This sounds easy enough to make. THanks for sharing. Alfredo sauce is my husbands fave sauce of all time. I never made a homemade version but now i want to try this recipe. The Alfredo sauce for the pasta looks so tasty. It’s nice that you have an easy way to prepare it. 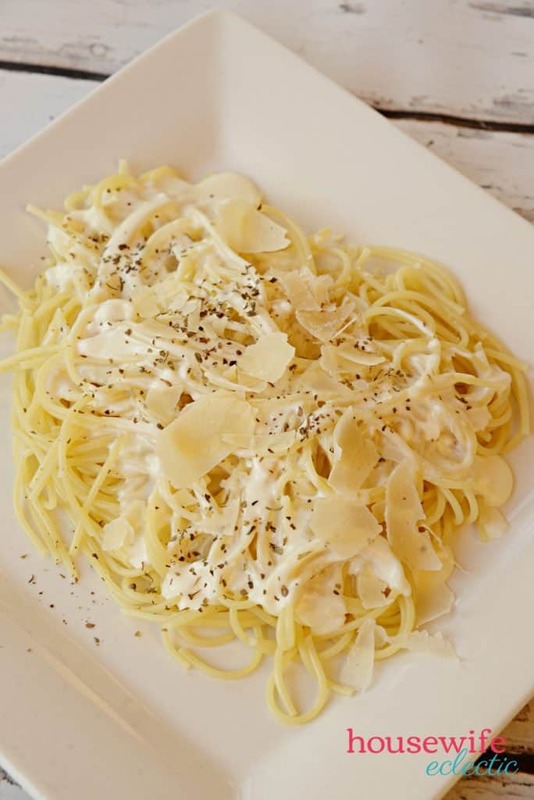 Alfredo sauce is one of my family’s favorites yet I have never tried to make it from scratch. This recipe looks delicious and easy to make. I will have to give it a try this weekend. You had me at “fast and easy”. I have a friend that swears by homemade alfredo sauce. Even though I think its by far the best option, I’ve learned to doctor up the store bought stuff if I’m ever low on ingredients. Oh my gosh, you had me at Alfredo. I love that sauce, and especially love pairing it with shrimp too! Great dish. I love alfredo pasta and this looks delicious. My husband on the other hand prefers traditional spaghetti sauce so I seldom make alfredo. I LOVE Alfredo sauce, but haven’t tried making it before. I really need to try this recipe-thanks for sharing!